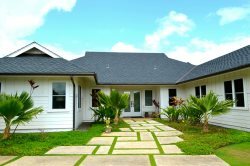 Do I Need to Rent a Car on Kauai? Yes, it is recommended that you rent a car when you are visiting the Garden Isle of Kauai! Although we only have one major "highway" on the island it takes approximately 3 hours to drive from the one end on the North Shore to the opposite end on the West Side (i.e. from Haena to Polihale). A car is necessary to drive to many of the picturesque towns and beaches and waterfalls. You don't want to miss out on the scenic drive up to Waimea Canyon and the Kokee lookout! There is public transit available, however, the bus routes are limited and time consuming when trying to explore all the beauty that Kauai has to offer. Rental scooters are available, however, many of the roads do not accommodate bicycles or scooters safely. If you prefer not to drive, tour buses are available and are a great way for informative guided tours of the island's main attractions! There is a taxi service available and many of the large resorts offer shuttle service from the airport. You may want to stay somewhere with a shuttle service and simply rent a car for the day. The Grand Hyatt Resort in Poipu (808-742-9202) offers ‘green cars’ that can be rented by the hour. To find the best price for a rental car we suggest checking hotwire.com often so you learn to recognize the good deals when they appear. We are happy to assist you as we know how the car rental rates fluctuate in low and high season and can advise you on finding the lowest rates. We have contracts with Enterprise and Alamo and sometimes this affords us a discount that we can pass on to our guests. We offer a free rental car with most of our vacation properties except during the peak season. It is highly advisable to book your rental car well in advance if visiting the island during the peak season as cars do sell out and the rates can sky-rocket! Check out local car rental companies for deals, too. You can try aloharents.com or hawaiidiscountcarrental.com as well.